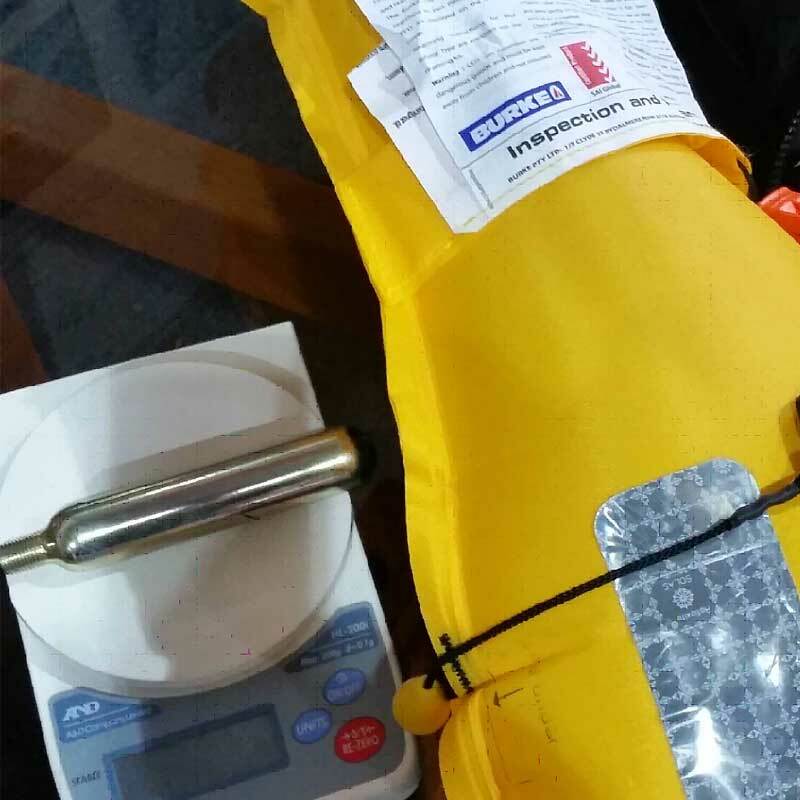 Caring for Inflatable Life-Jackets with a Regular inspection. 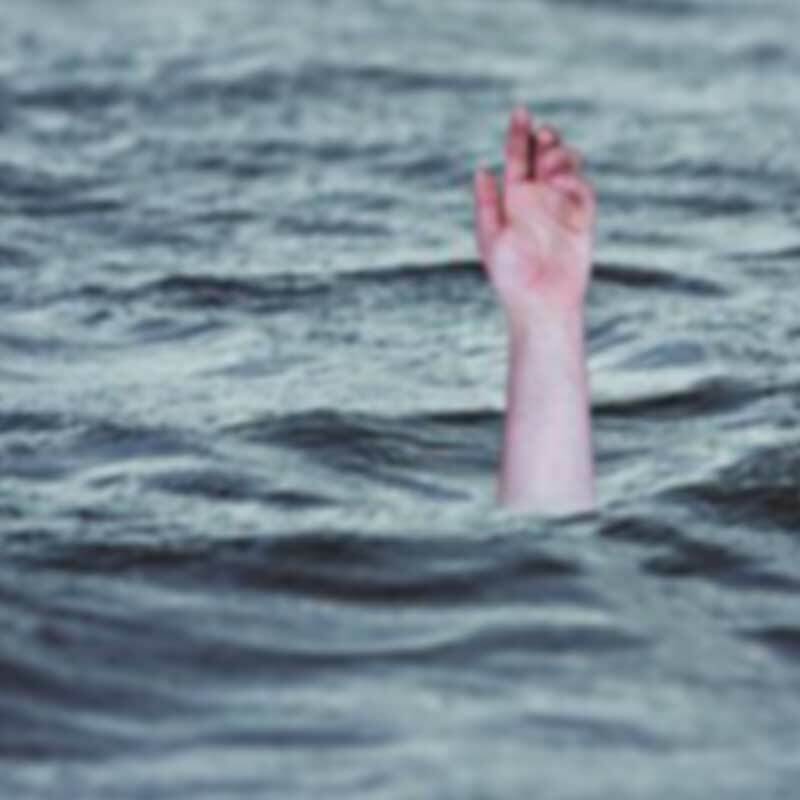 From a Safety point of view, there is a need to wear lifejackets at all times boating, when there is a heightened risk of ending up in the water. The inflatable lifejacket, or Personal Flotation Device (PFD) for the technically minded, is the equipment of choice when comfort and convenience is the primary consideration. 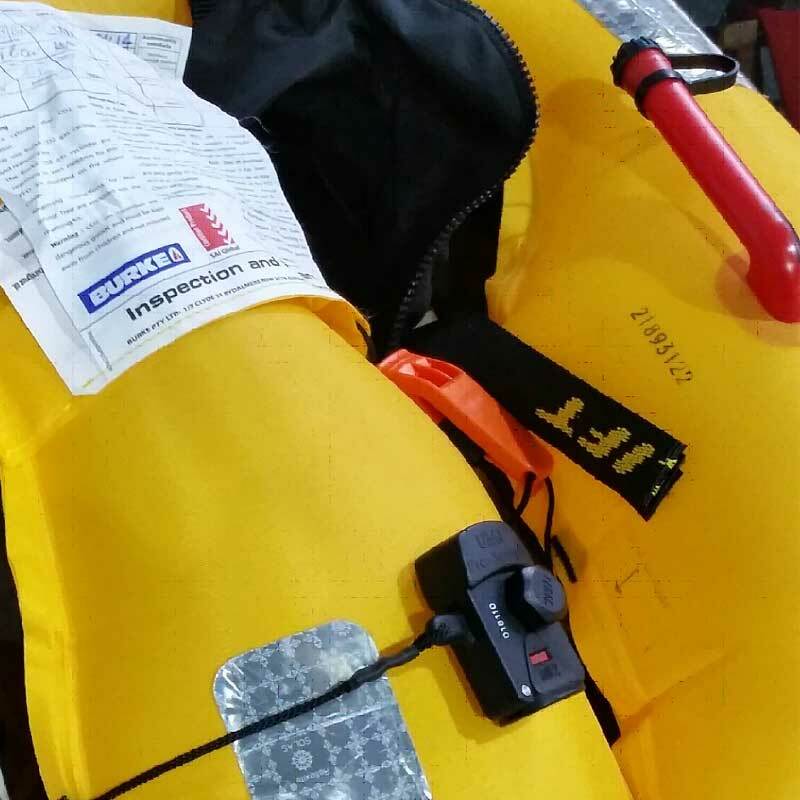 The thing about an inflatable lifejacket is that it has several components that need to be activated at the time of need. 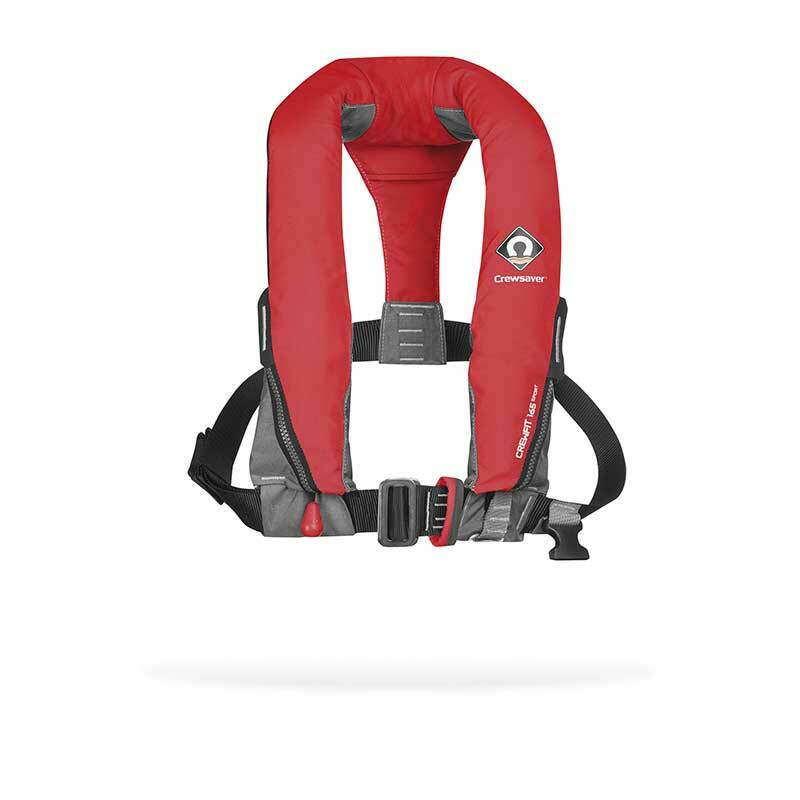 If anyone of the parts is faulty the lifejacket will not work as it should. Firstly there is a webbing framework with adjustable buckles that will hold it all in place. There is the inflatable bladder and any fault in the seams or pinhole will mean the buoyancy of the lifejacket will not last long. The compressed gas cylinder which will provide really fast inflation provided it is full of gas. Then there is an inflation mechanism which may be manually or automatically triggered. Finally, in order that the wearer may be more easily located there are retro-reflective patches to pick up a spotlight and a whistle for drawing attention. We would recommend that every boater looks after his or her lifejacket with the care appropriate to something that may save your life. Prior to getting underway on each voyage, if there is a service indicator check it to ensure it is GREEN. If the service indicator is RED the mechanism has been fired or is incorrectly fitted. Check that you know how to put it on and those fitting adjustments are made so that it is comfortable and that the Pull Tab lanyard is free and accessible. 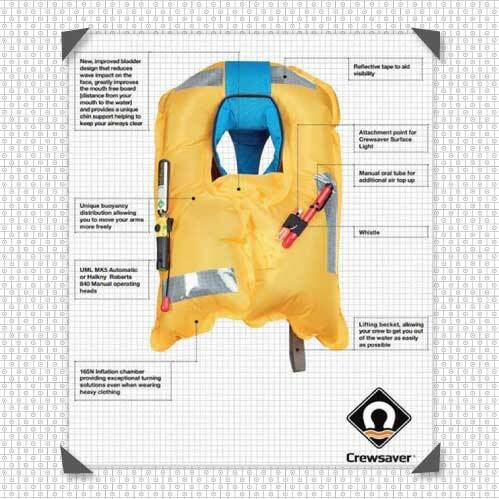 At the end of the voyage, the lifejacket must be stored clean and dry to ensure it has a long life. If there has been saltwater exposure it is important to rinse your lifejacket with fresh water and dry it out thoroughly. If your lifejacket is set for auto-inflation, remove the auto-inflation cartridge prior to rinsing. After drying the auto-inflation cartridge should be refitted. 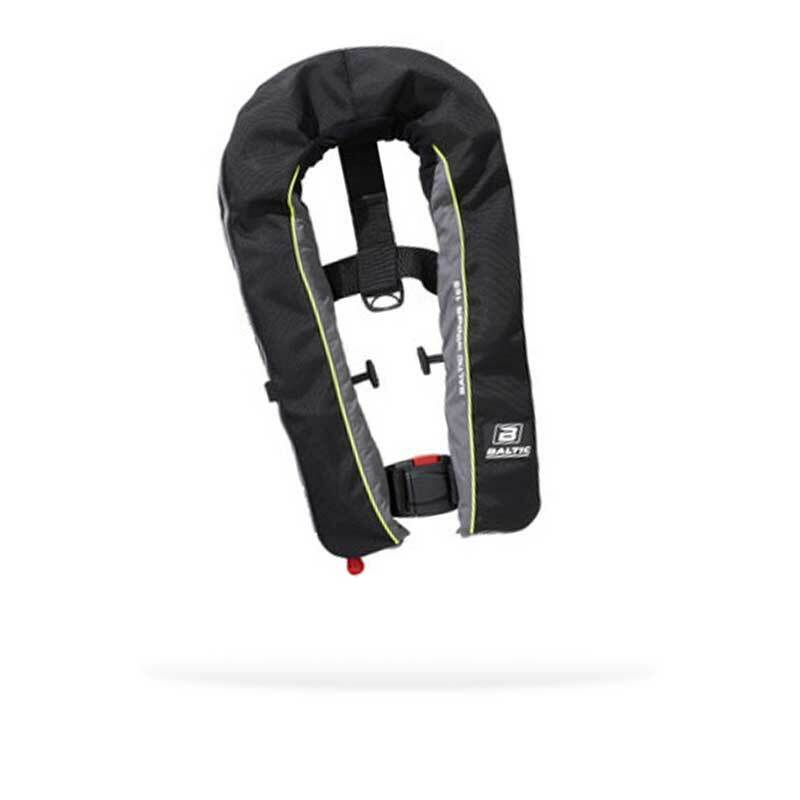 Store your lifejacket in a dry, well-ventilated location and out of direct sunlight. Many manufacturers have a website that will advise users how to inspect their particular design but they all follow a similar path. Unpack the bladder and inspect it, webbing, and buckles for wear and tear. Blow up the bladder using the top up mouth tube. Leave inflated for a day or so and if the pressure diminishes then there may be a pinhole or seam leak. Check the deflation valve works. Check the gas cylinder is free of corrosion and is still full using kitchen scales and checking this against the gross weight engraved on the cylinder. Is the firing mechanism working? If you do this with the gas cylinder screwed in then you will have to buy a new cylinder. Deflate the bladder and repack the way it was before. If the lifejacket is worn often then it may be advisable to self-inspect between technician inspections. Each manufacturer has their own idea as to how often all these components need to be inspected by a trained technician but it is a good idea to have this done annually. Anchor Marine provides technician inspections for Baltic and many other brands.